HMAS Creswell is the home of the Royal Australian Naval College (RANC). The College rests on the shores of Jervis Bay Marine Park and is surrounded by Booderee National Park. The site is listed on the National Register and many of the establishment’s buildings are heritage listed. A bust of VADM Sir William Creswell, KCMG, KBE sits in front of the board of Cadet Captains. The building which houses the Historical Collection has had various uses. For many years it was used as the Administrative Offices for the establishment. The telephone switchboard for the base was housed around the right side of the top storey. This building was completed in 1914 and the North Wing was added in 1920. The building was also used as the Jervis Bay Post Office. During the 'Holiday Period' the building was renamed the Post Office but also became the Telephone Exchange, Bank and 'Walker’s General Store'. 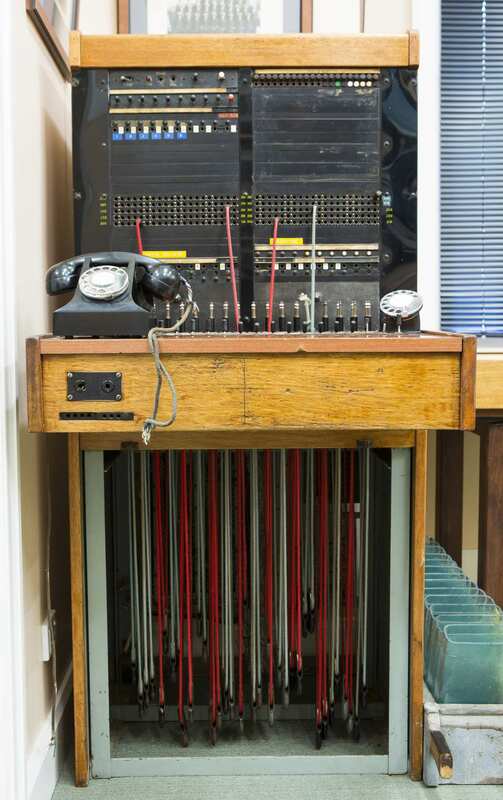 The original switchboard which was used from 1913-1984. When the college return to Jervis Bay in 1958 the Central Registry and Pay and Accounts section operated out of the building. The Museum is focused primarily on the history of the Naval College, the Staff and Cadets, their lives and their careers. When the college was built between 1913-1915, the bell was installed in the clock tower by John Danks and Sons of Sydney. It rang out ‘Ship’s Time’, controlled by a unique gravity driven clock movement and chiming mechanism. In 1930 the base became a holiday resort and the College moved to Flinders Naval Depot in Victoria, now HMAS Cerberus. There is some evidence that the chime mechanism, including the bell, was moved with the college. The original bell from the HMAS Creswell clock tower. In about 1956, my late father founded his own engineering company under the name Wessex Engineering. In the course of business he had dealings with various scrap metal merchants and at some time in the mid 1960s, the driver of a scrap metal truck turned up unexpectedly at the factory and announced that his boss had told him to deliver his load to Wessex. The load in question was a large (approx 180kg) bell. It is about 20 inches (0.5m) high and about 22 inches (0.55m) in diameter at the bottom…Apparently the scrap metal dealer knew of my father’s interest in anything a bit unusual or off the beaten track. At first my father hesitated but on refection agreed to accept the scrap dealer’s offer to let him have the bell for scrap value. Just how much that was, I have no idea. The real reason I am telling you this story is that there are some hand painted markings on the bell which appear to indicate some connection with the Naval College at Jervis Bay. The faint markings on the bell include the initials of four of the 1914 entry Cadet Midshipmen - Lovell J Towers, Percy F Dash, Otto F McMahon and Arthur H Spurgeon. Interestingly they are not the only graffiti-talented trainees that have joined the College. The inside of the clock tower, always locked, is adorned with the signatures of course after course who took the challenge and left their mark. The bell was donated back to the College in 2012 by Mr David Hoskins and his family, and now resides in the foyer of the Museum. Many well known naval personalities have passed through the College. The first graduation in 1916 included Midshipmen Collins, Farncomb, Burnett and Getting. 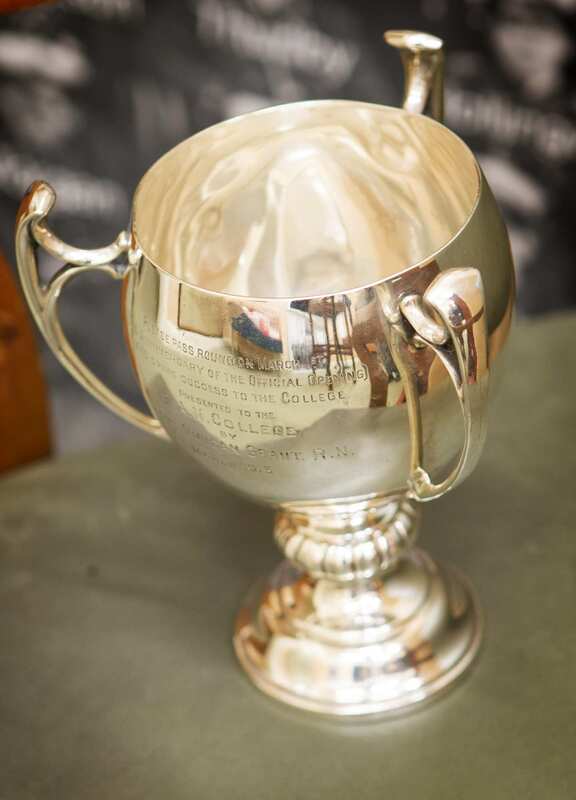 Please pass round on March 1st and drink success to the college. Presented to the R.A.N College by LEUT Duncan Grant R.N, March 1913. 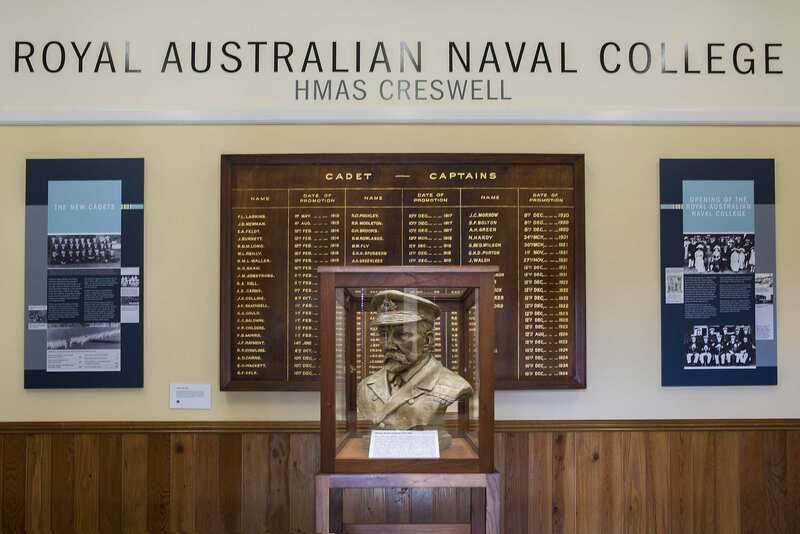 Due to the current security and staffing restrictions access to the HMAS Creswell Museum is by appointment only. Research services are not provided, however, enquiries may be directed to creswell.museum@defence.gov.au. We will endeavour to respond as soon as we are able.